What does it mean to be young, to be economically disadvantaged, and to be subject to constant surveillance both from the formal agencies of the state and from the informal challenge of competing youth groups? What is life like for young people living on the fringe of global cities in late modernity, no longer at the center of city life, but pushed instead to new and insecure margins of the urban inner city? How are changing patterns of migration and work, along with shifting gender roles and expectations, impacting marginalized youth in the radically transformed urban city of the twenty-first century? 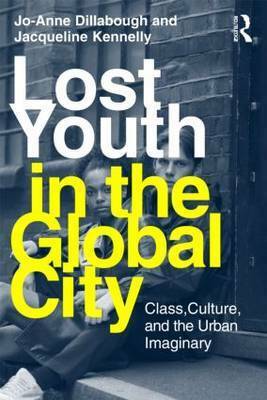 In Lost Youth in the Global City, Jo-Anne Dillabough and Jacqueline Kennelly focus on young people who live at the margins of urban centers, the "edges" where low-income, immigrant, and other disenfranchised youth are increasingly finding and defining themselves. Taking the imperative of multi-sited ethnography and urban youth cultures as a starting point, this rich and layered book offers a detailed exploration of the ways in which these groups of young people, marked by economic disadvantage and ethnic and religious diversity, have sought to navigate a new urban terrain and, in so doing, have come to see themselves in new ways. By giving these young people shape and form -- both looking across their experiences in different cities and attending to their particularities -- Lost Youth in the Global City sets a productive and generative agenda for the field of critical youth studies. Jo-Anne Dillabough is Reader at the University of Cambridge and Associate Professor in the Department of Educational Studies, University of British Columbia. Jacqueline Kennelly is Assistant Professor in the Department of Sociology and Anthropology at Carleton University.